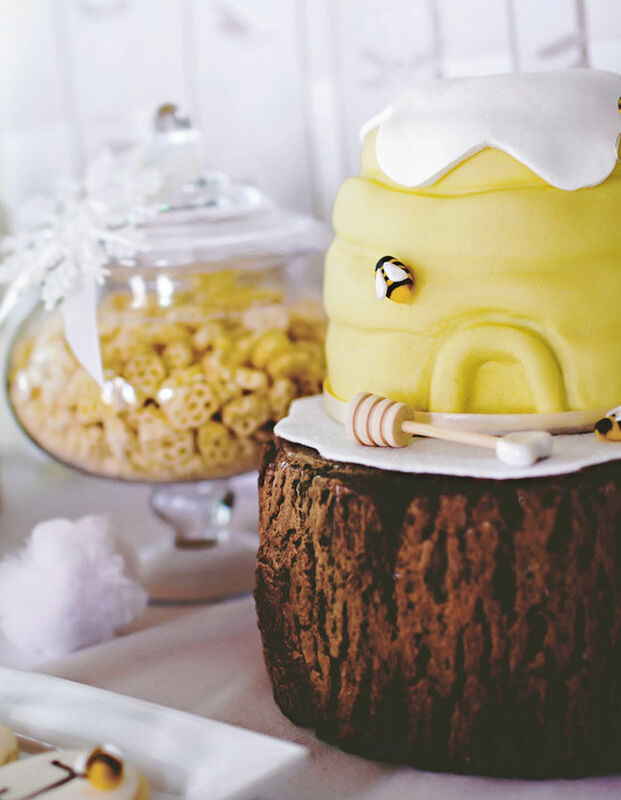 Take a walk through Hundred Acre Wood at your baby shower and celebrate bumble bee’s pending arrival with a whimsy Winnie the Pooh themed cake. 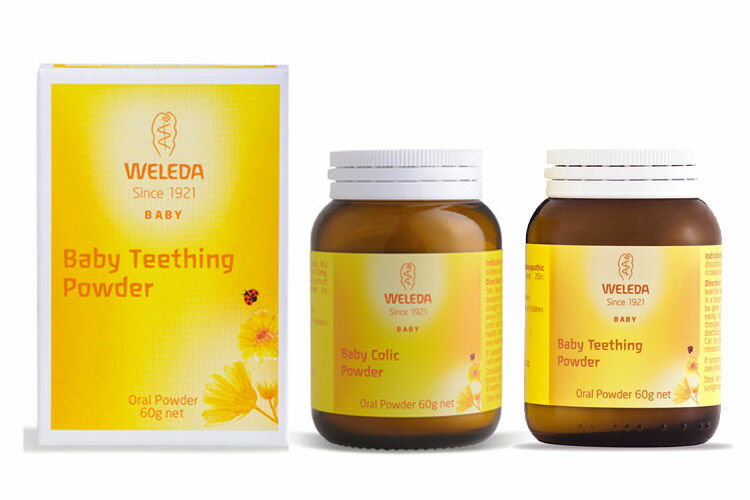 From beehives and honeypots to Piglet and Pooh Bear, there are so many sweet ways to capture the fun and friendliness of everyone’s favourite bear. 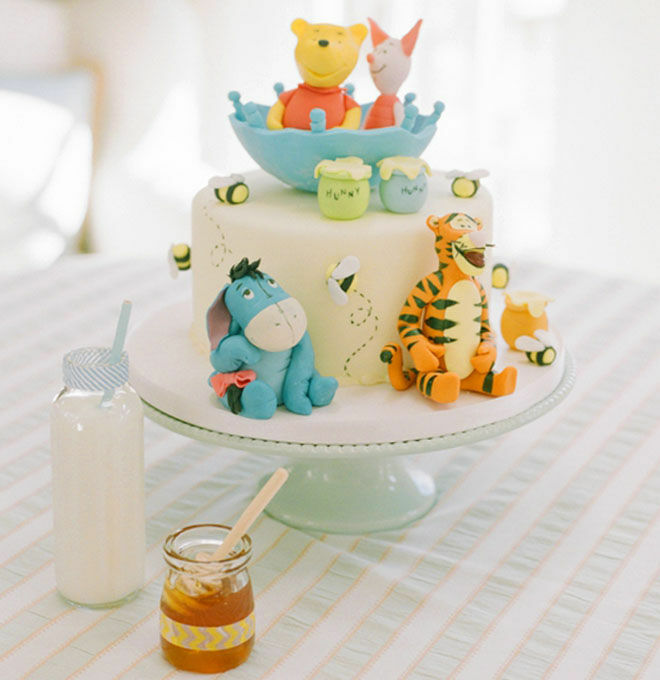 Here are 13 wonderful Winnie the Pooh baby shower cakes. Get the whole gang involved just like 100 Layer Cakelet did with a cake that sees them all smiling and all sitting pretty. 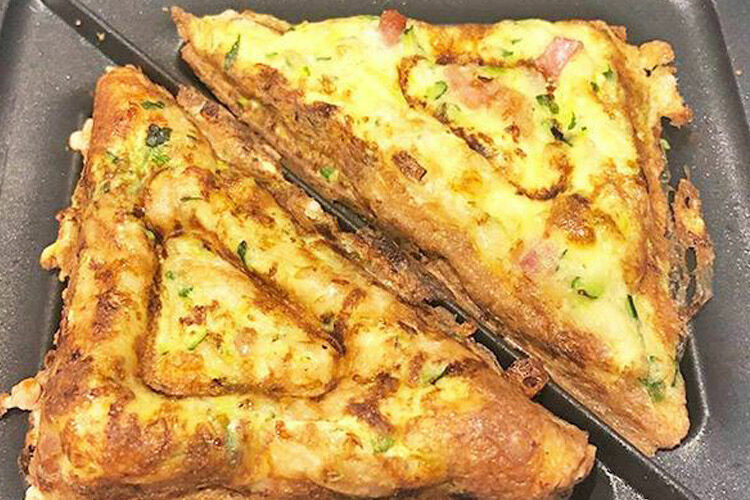 It’s sweet, simple and super easy! 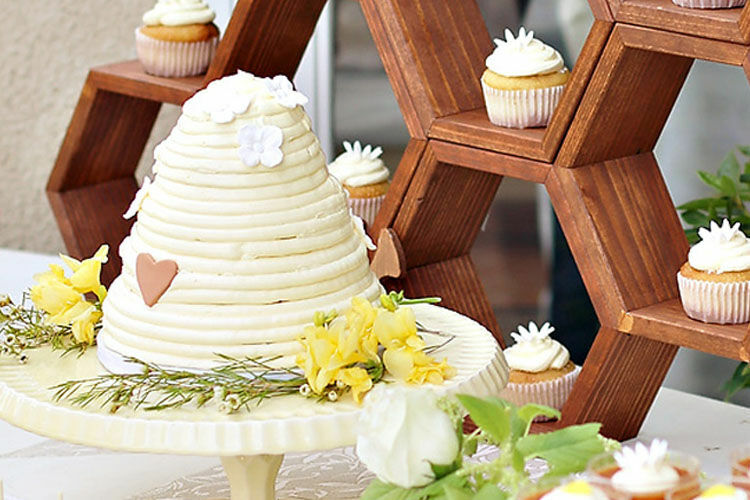 We love this beehive beauty from Project Nursery. 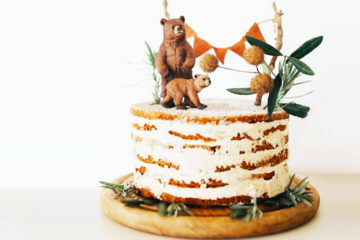 Bring the outdoors in with a baby shower cake that wows the crowd. 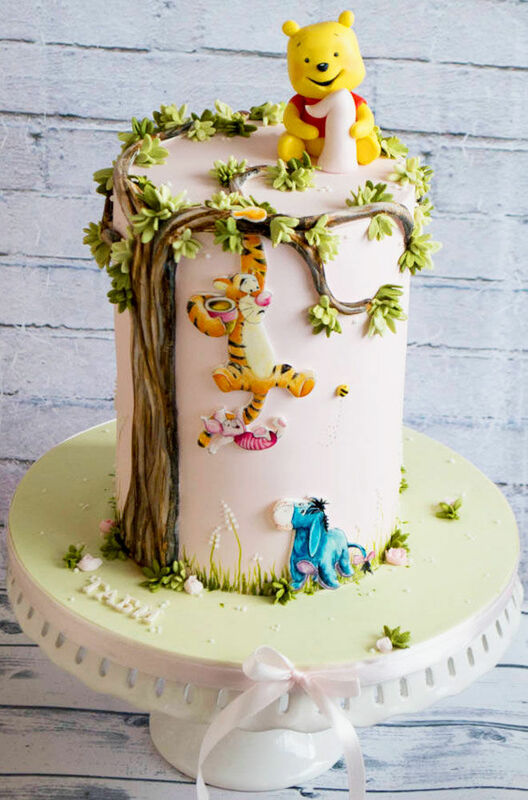 This 100 Acre Wood cake found on Cakes Decor gets our vote! 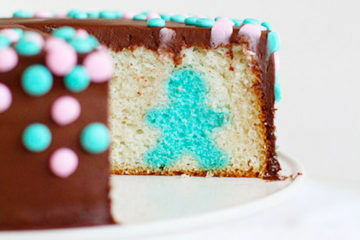 Not sure on baby’s gender? 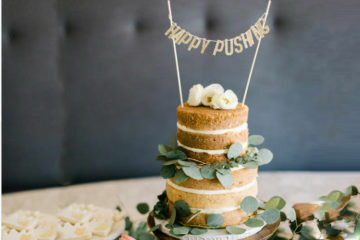 Go for a neutral baby shower cake like Simple Strong. 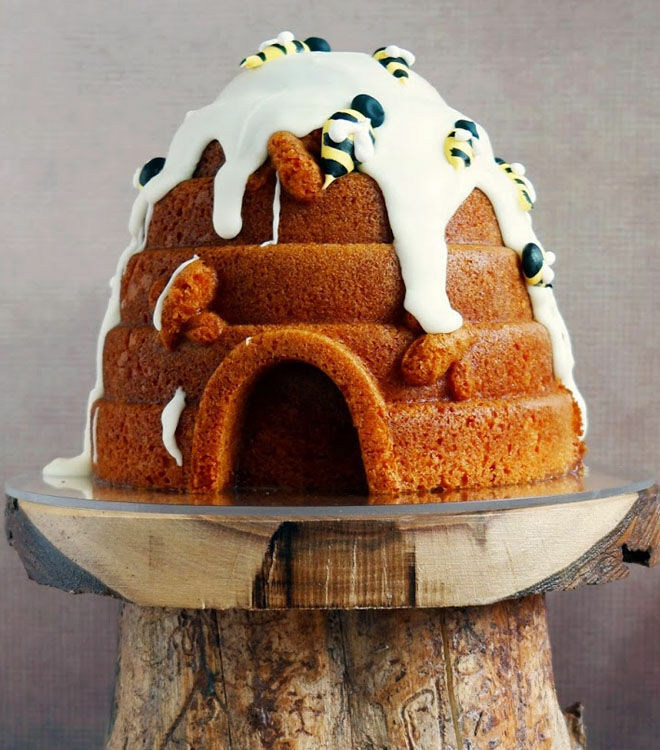 Create a striking centrepiece using this cake by Alina Vaganova as inspiration. 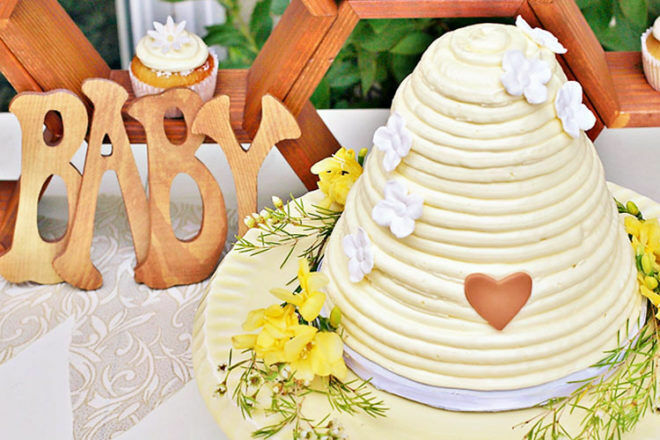 The stunning sugar flowers and vibrant icing are a winning combo. 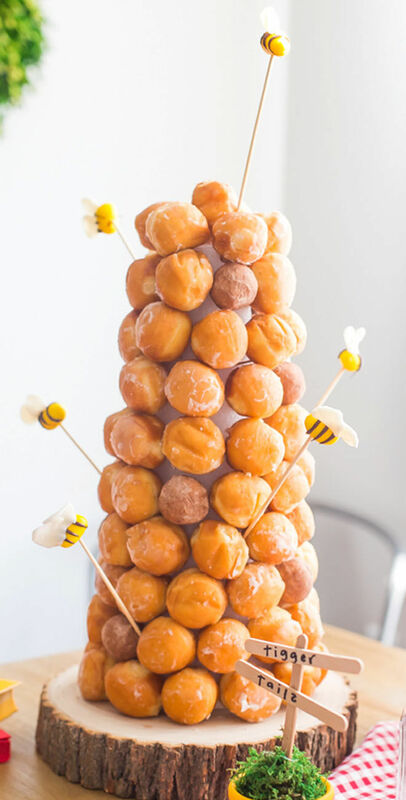 Go slightly left of field with a Winne the Pooh croquembouche! 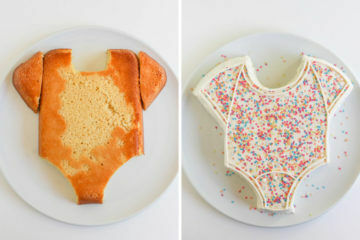 We’re drooling over this masterpiece by 40 Aprons and think your baby shower guests would be mighty impressed too! 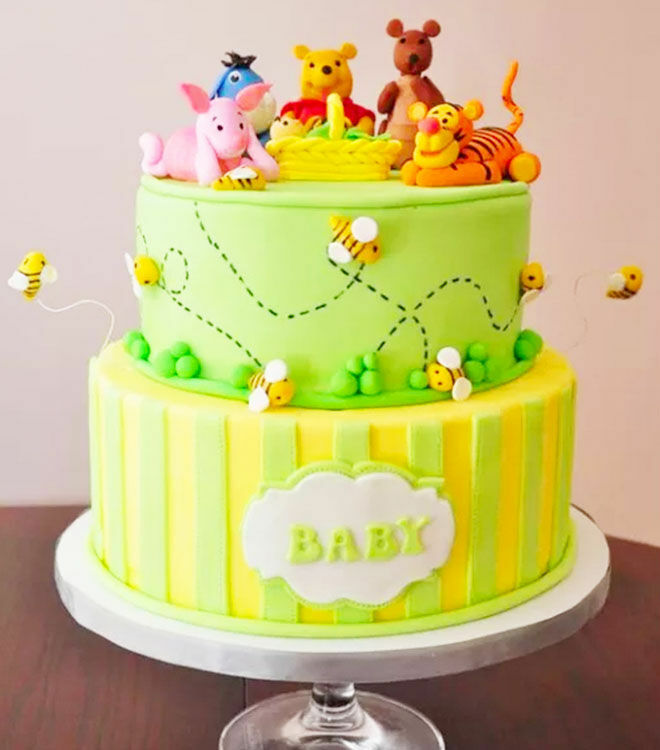 Piglet, Pooh, Tigger, Kanga Eeyore and Roo are all aboard this baby and bee bake! 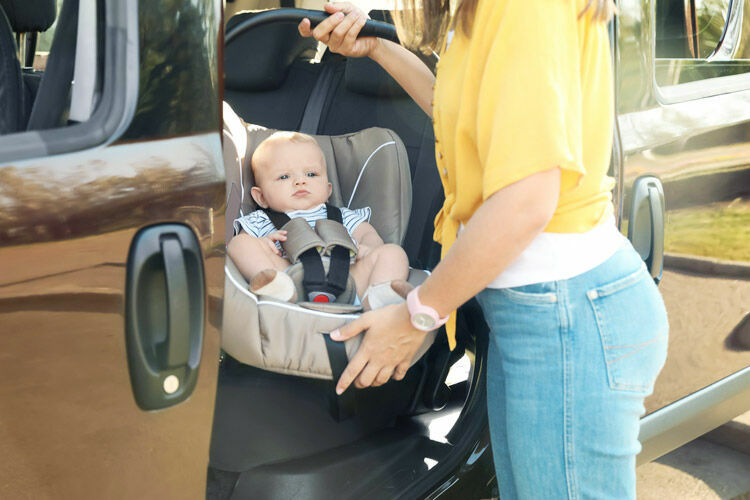 They love a good adventure so take them on yours. Pooh and friends love to be kind. 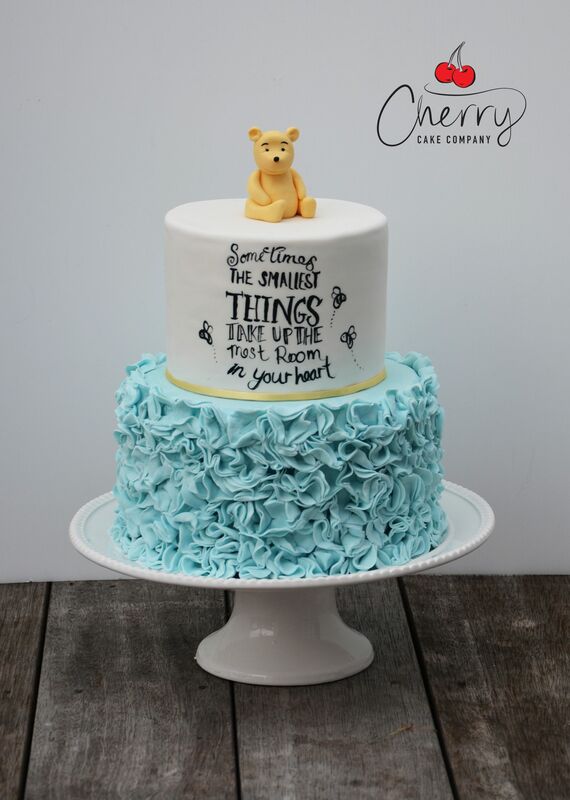 Be kind to yourself with an easy baby shower cake that’s pretty as a picture. 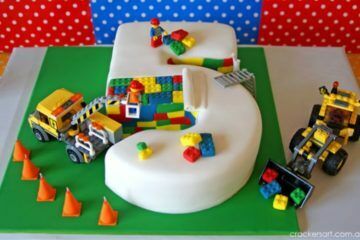 Head over to My Padi Cakes to see more. Noone loves honey quite like Pooh Bear. 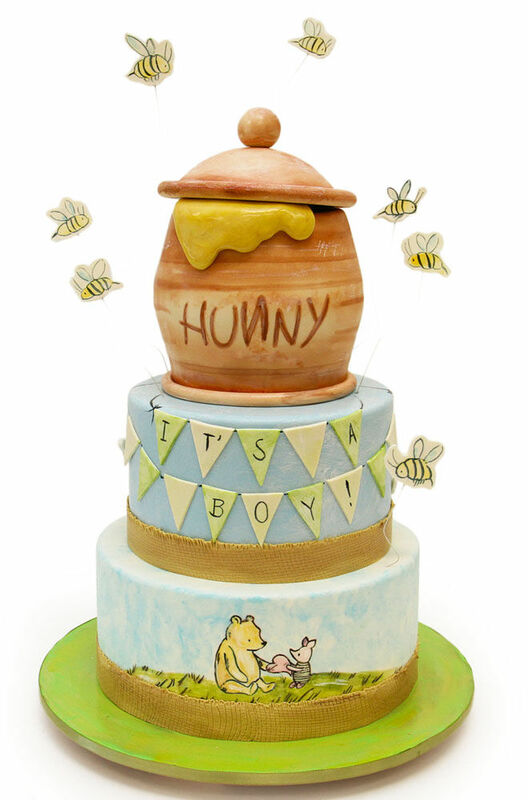 Featuring bunting, bees and a big pot of honey, this baby shower cake by Pink Cake Box is covered in cuteness. 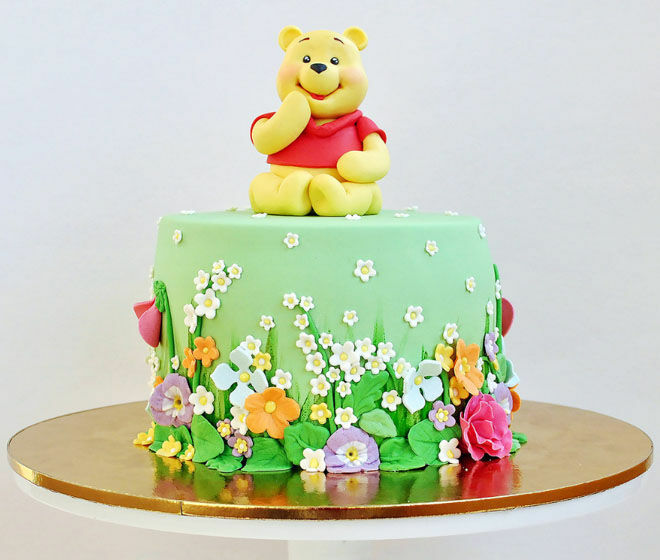 It wouldn’t be a Winnie the Pooh shower without a stack of sweets. 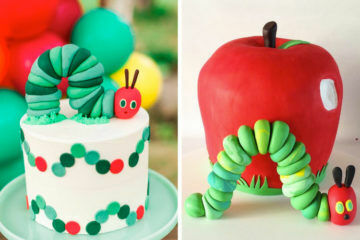 Steal a trick from these party people and go little and large with your baby shower cakes. Winnie the Pooh has so many famous quotes but this one has to top them all. 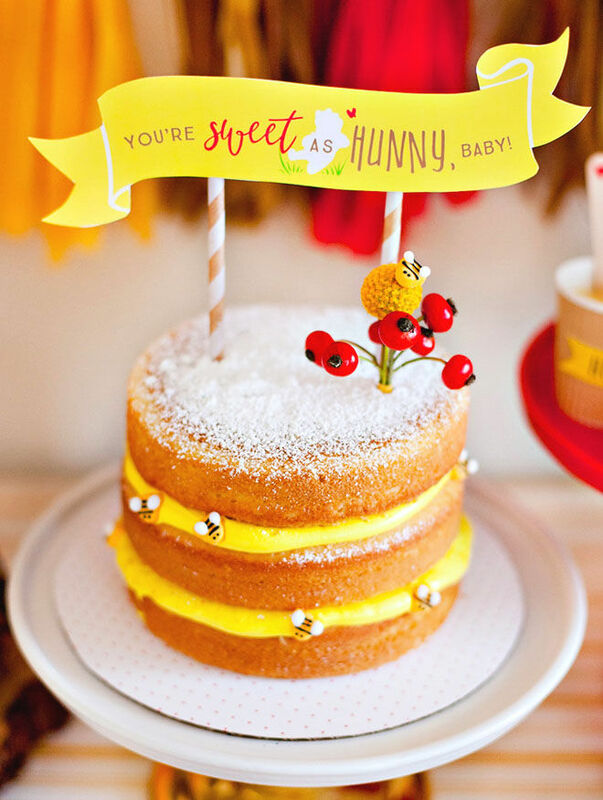 Cherry Cake Company put the cherry on top with a saying so fitting for a baby celebration. 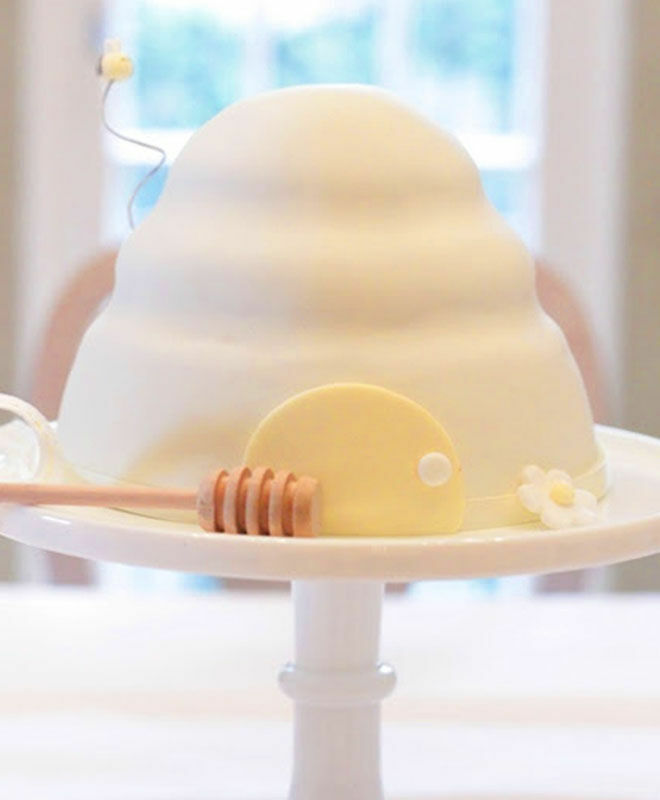 This mini little number from Hostess with the Mostess is ideal for mums-to-be wanting a Winnie the Pooh dessert table. 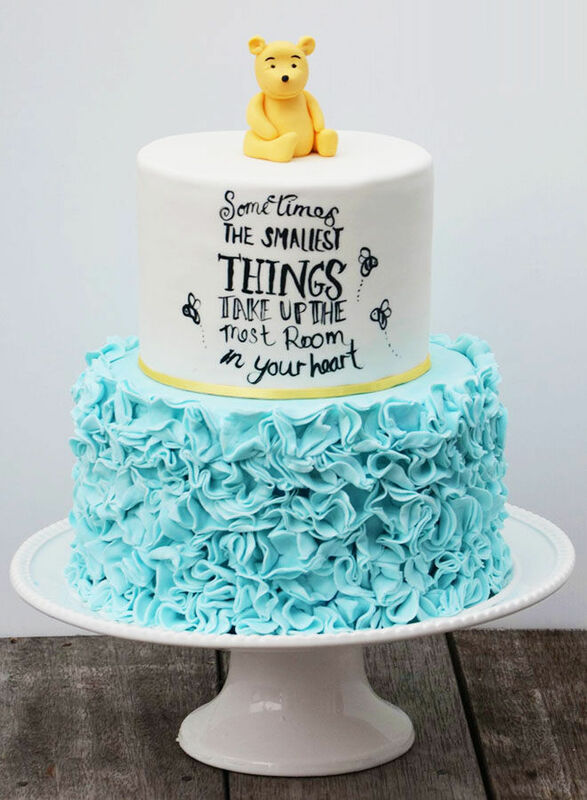 Take your sweet treats down a size for ultimate cuteness! Want to learn from a master? 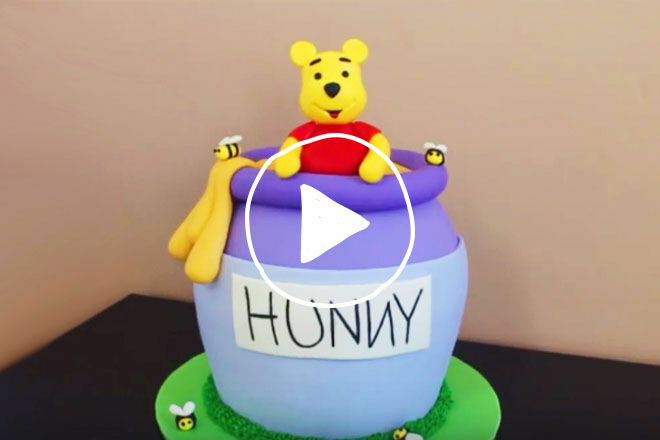 Here’s a brilliant video tutorial showing you how to create a wow-worthy Winnie the Pooh cake of your own at home. Enjoy! Now that your baby shower planning is underway, it’s time to hang out and share ideas with other mums-to-be planning their shower too! 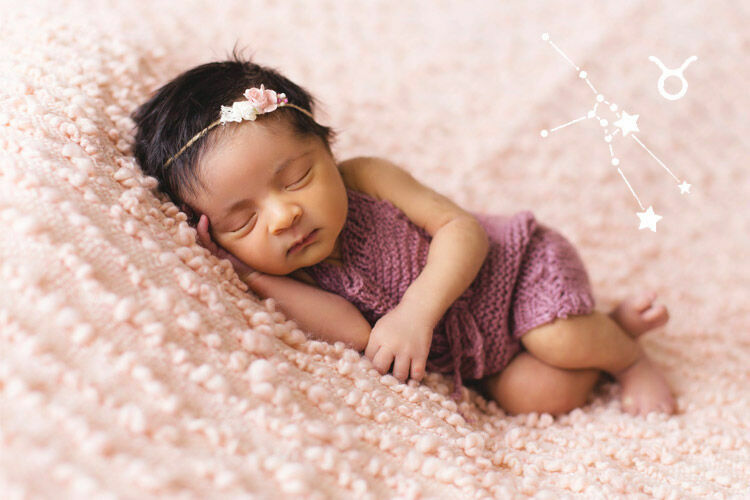 The Mum’s Grapevine closed pregnancy groups are safe and supportive Facebook groups based on the season you’re due – so you’re all expecting at the same time! Click below and join your group today.